Since the first time they tried to shoot a basketball, you saw the fire in your child’s eyes. The desire to be the best has morphed into endless hours spent practicing. That’s how the Sport Court family started in the game. Unite as family and friends for friendly competition on a floor where memories can be made. A game court from Sport Court of Massachusetts gives you the opportunity to play up to 15 games in your backyard: basketball, tennis, volleyball, roller sports and hockey, soccer, futsal, pickleball and even a few games that you create! Whatever your community facility needs, we can build it. Sport Court of Massachusetts brings a one of a kind customer service and quality court building experience that will provide a space for friendships to be formed, teams to grow and the beginnings of an unmatched athletic career. 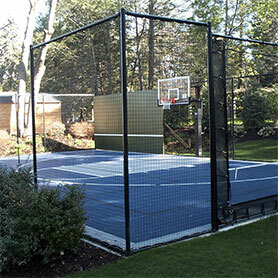 "Our Sport Court is the best investment we've made for our family. John Campbell is awesome, very professional and kept me posted as the building process progressed. " 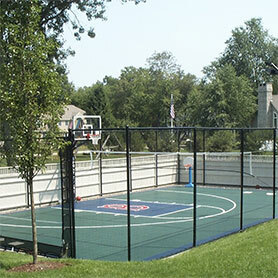 "Our court is an attractive addition to the backyard and the kids love playing basketball on it. I would highly recommend Sport Court of MA." Sport Court of Massachusetts is proud to serve families and businesses in Massachusetts and New Hampshire counties, including Norfolk, Essex, Plymouth, Bristol, Suffolk, Hillsborough, Cheshire and Sullivan counties. 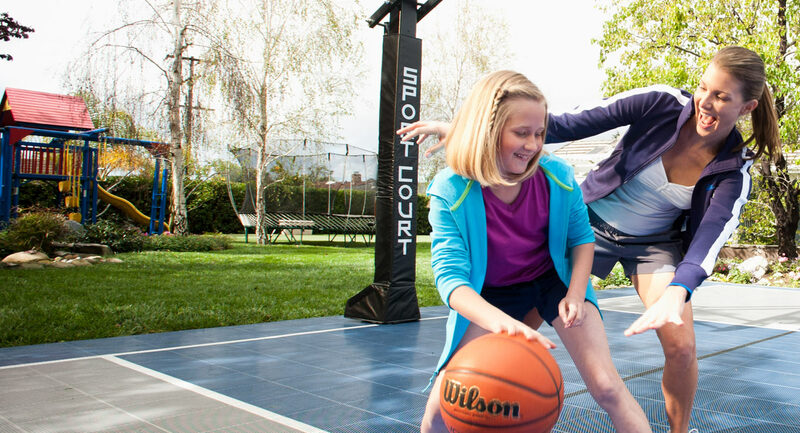 Sport Court Families invest in more than a Sport Court game court - they invest in more fitness, fun and family time. Sport Court® has led the way in performance sports products since 1974. 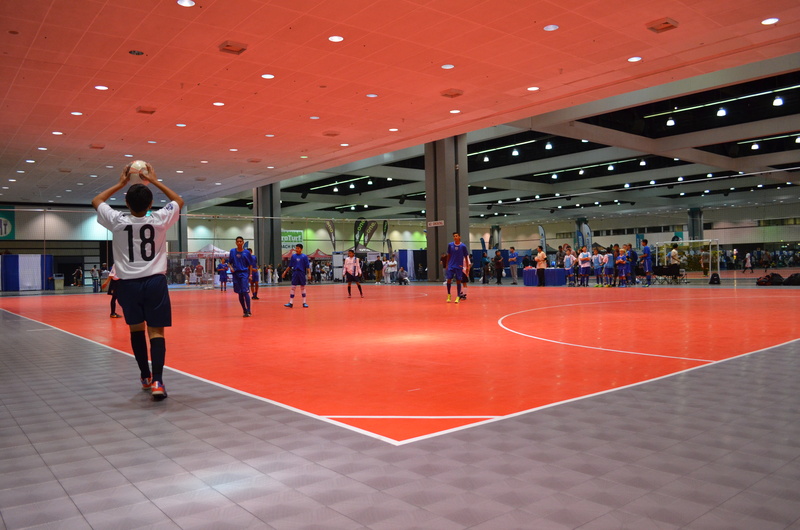 Today, we are the number one manufacturer of modular sports flooring across the country and around the world. Our game courts are the choice of the world's leading athletic organizations. With more than 50,000 installations, we are the worlds' largest game court and sports flooring company. 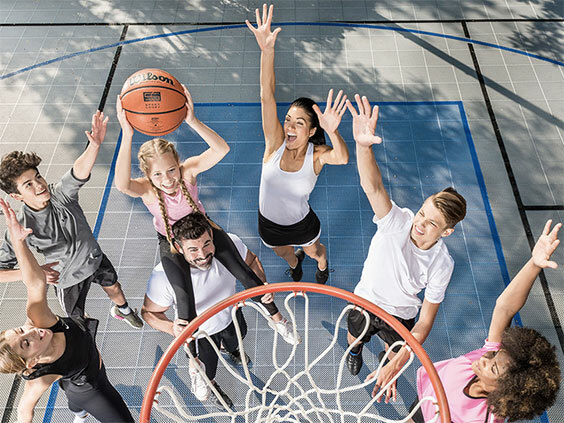 Explore Sport Court of Massachusetts to find out more about the products we offer and the quality, performance, and safety they provide. Teamwork is about partnership. 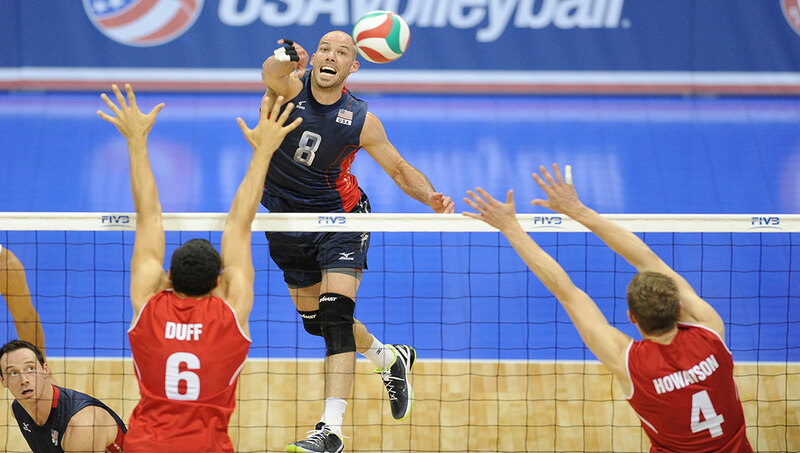 From the next generation of champions to the pros, Sport Court of Massachusetts supports and partners with the community organizations like the NCAA, USA Volleyball, USA Soccer Foundation and many other national and international athletic organizations, to bring sports to life for the community.